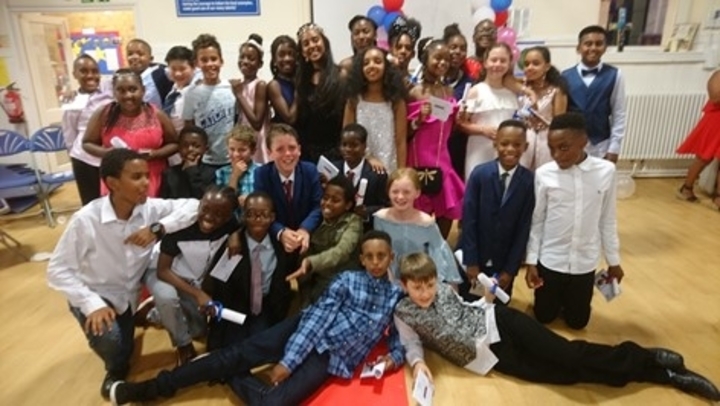 Archbishop Sumner CE Primary School in Lambeth achieves Centre of Excellence status. Archbishop Sumner CE Primary School is a 2 form entry Church of England Nursery and Primary School within the Parish of North Lambeth. Currently 384 pupils attend the school. It serves a culturally diverse catchment area with many children coming from a variety of ethnic groups many of whom speak English as a second language. The school firmly believes that educating students from vastly different backgrounds, with different talents and abilities alongside one another, creates a more rounded, socially open citizen and a more cohesive society. Academic attainment has long been linked with good attendance. The 96.3% attendance rate of the school is high and above average in the UK. These values underpin all the work of the school. The promotion of Inclusion is a team effort, with no one person identified as inclusion manager, the team is led by the Headteacher and SLT, with inclusion issues being on the weekly SLT meeting agenda. The SLT set a positive tone for all the work the school undertakes to do and is respected by all the stakeholders. She has and continues to make the most of the school buildings and grounds to create an exciting and stimulating learning environment for all learners in conjunction with her staff. The outdoor learning environment is spacious and offers children a variety of opportunities e.g. the play equipment for physical development and the eco, peace and sensory gardens. The staff of the school know their pupils extremely well, they are required to differentiate work so as to meet the individual needs of the pupils in their class and to have high expectations of all. They have very good relationships with the children and this was evident on the day of the assessment. They are energetic and supportive and fully committed to ensure that each child will endeavour to reach their full potential and overcome any barrier to learning. All the staff and parents spoke highly of the inclusive practice of the school and all share a common vision in this regard. Staff are encouraged, through a well-structured CPD programme, to ensure they have the skills to deliver an innovative and challenging curriculum to the children. The support staff make an extremely valuable contribution to learning through support in class, the mentoring programme and interventions eg Maths and Literacy. This support begins at 8 am with children with difficulties having additional support such as Lexia and Sum Dog. The classes are well organised with vibrant inclusive displays which both celebrate the work of the children and help to prompt independence in learning eg Growth Mindset and the Learning pit. Throughout the assessment there was clear evidence from both observation and paperwork of the supportive inclusive practice of the SLT and staff team. The Governing Body has a clear and shared vision for inclusion and this is an item that is regularly discussed at Governors’ meetings. Each Governor has a clear remit within the school and working groups of Governors monitor data and performance via both school learning works and staff discussions. Governors offer challenge. They attend training offered by the local LA and are proactive in seeking external advice and support. They monitor the effectiveness and impact of the School Development Plan on pupil achievement. OFSTED noted in their inspection that Governors fully understood their remit when it came to school finances and the impact this has in maintaining high standards of teaching and learning. All children speak highly of their school and the staff. They enjoy the range of learning experiences. They have many opportunities to develop their leadership skills eg ECO and School Council, Sports Ambassadors etc. The children know their needs will be met and barriers to learning challenged through confidence building, a mentoring programme and engaging and challenging teaching and learning. Progress is rigorously monitored through a tracking system (Pupil Tracker) and intervention programmes are put in place for targeted children, who are not making the required progress. Achievements of children are celebrated and as such the attainment of children is at, and on many occasions, above both LA and National Averages. The parents of the school fully appreciate all the school does for their children and indeed during discussion many highlighted how both the school and the Headteacher have gone over and above expectation for them, especially where children have encountered difficulties no matter what these may be. They feel that they are co-educators and partners in their child’s learning, with needs identified and programmes put in place to remediate difficulties, which are reviewed termly. Parents recognise and appreciate the child centred focus of the staff. There are extremely good communications and parents are regularly updated on all that is ongoing within the life of the school, through a variety of means. The school has an excellent reputation in the local community and is held in very high regard. It welcomes visitors from the local parish to co–celebrate assemblies and raises funds for both local and national charities. The school has good links with other local Primary schools and works in a local cluster to share good practice. This impacts on the school in a very positive way. In the recent OFSTED inspection report the school was graded as outstanding at all levels. Archbishop Sumner is an excellent example of inclusive practice and energy and aspiration.